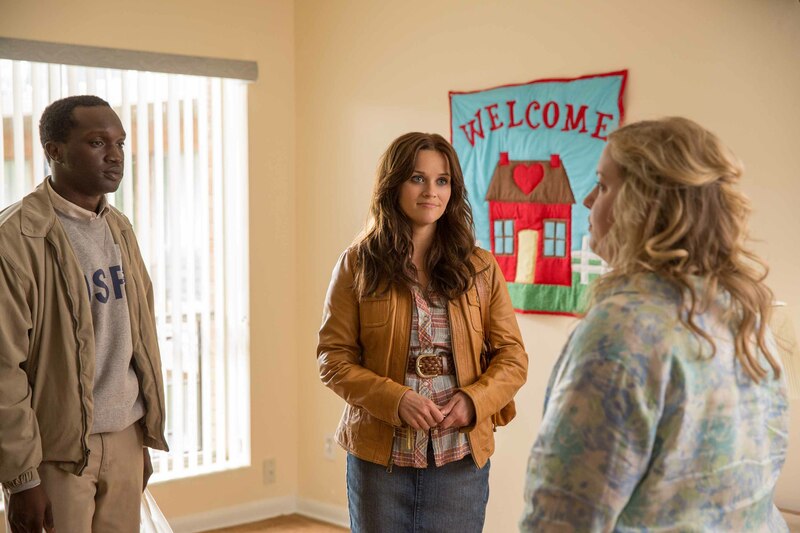 (l-r) REESE WITHERSPOON as Carrie Davis and SARA BAKER as Pamela Lowi in THE GOOD LIE. ©Alcon Entertainment. CR: Bob Mahoney. (l-r) ARNOLD OCENG as Mamere Deng, REESE WITHERSPOON as Carrie David and SARA BAKER as Pamela Lowi in THE GOOD LIE. ©Alcon Entertainment. CR: Bob Mahoney. REESE WITHERSPOON stars as Carrie Davis in THE GOOD LIE. ©Alcon Entertainment. CR: Bob Mahoney.